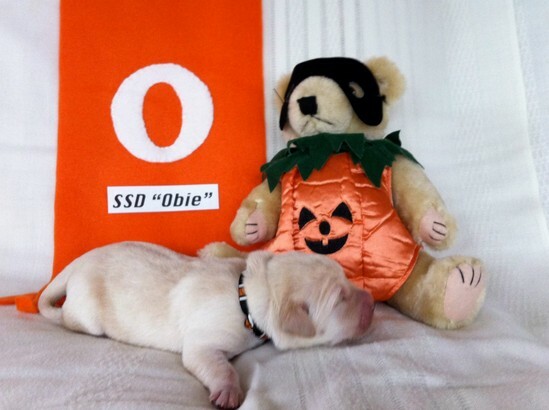 Obie arrived safely in Colorado on Dec. 21st. It was his first plane ride, but he traveled quite well sitting on the lap of Susquehanna Service Dog’s Director the whole flight. Apparently, it took awhile to get through the airports because so many people wanted to meet him and also, he couldn’t stop wiggling for the TSA pat down. His new puppy raiser family met him at the airport. He will live with a Mom, Dad and his favorite family member, Ema, a 13 yr. old girl. 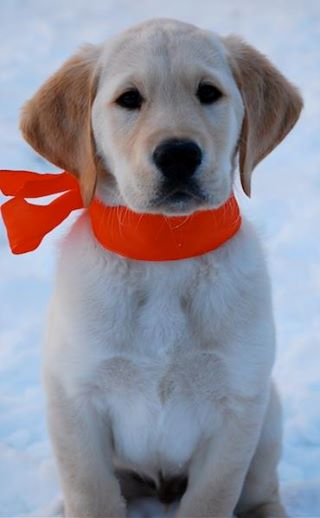 Obie will be raised as part of the “Canine Partners of the Rockies” who place assistance dogs with Colorado residents. He has already made quite the impression on the local community as he was a big hit at CaPR’s Open House!